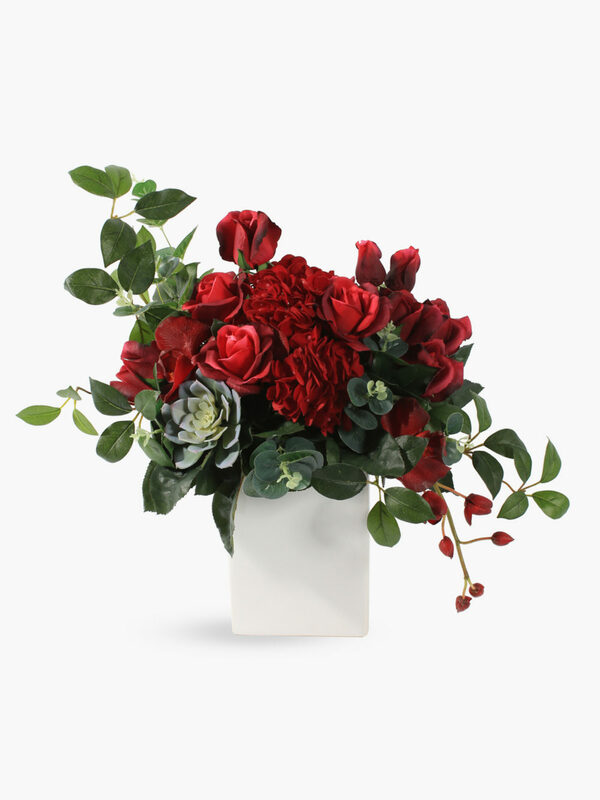 Red rose and hydrangea floral arrangement. 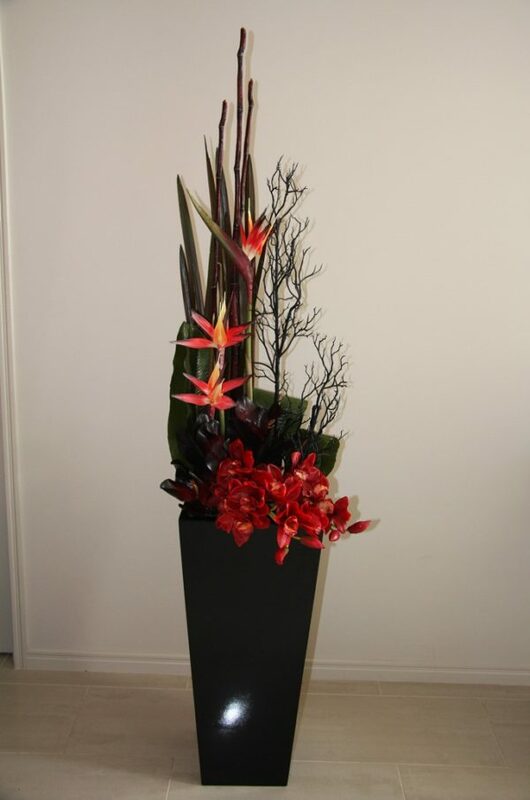 With succulent and red phalaenopsis orchids. 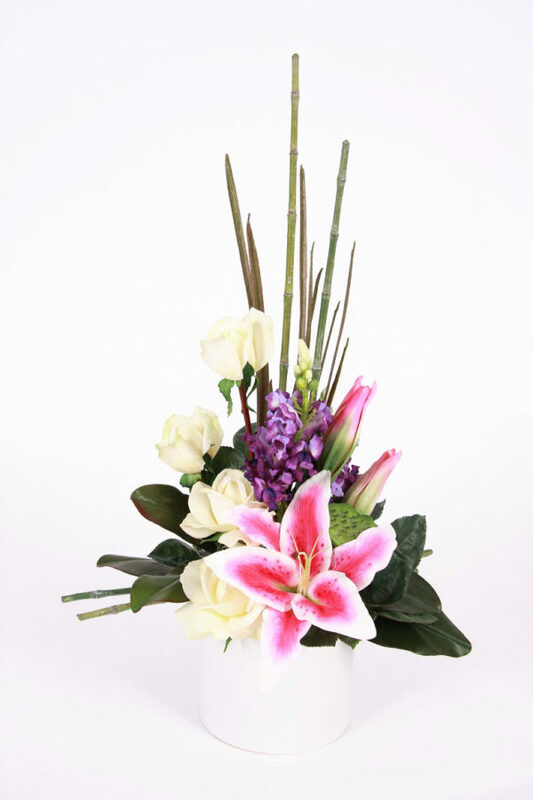 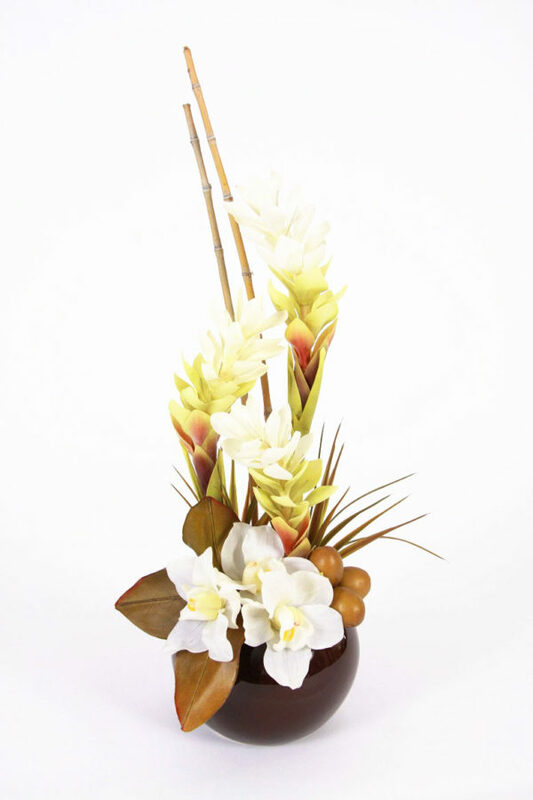 Filled with a variety of jasmine and eucalyptus greenery. 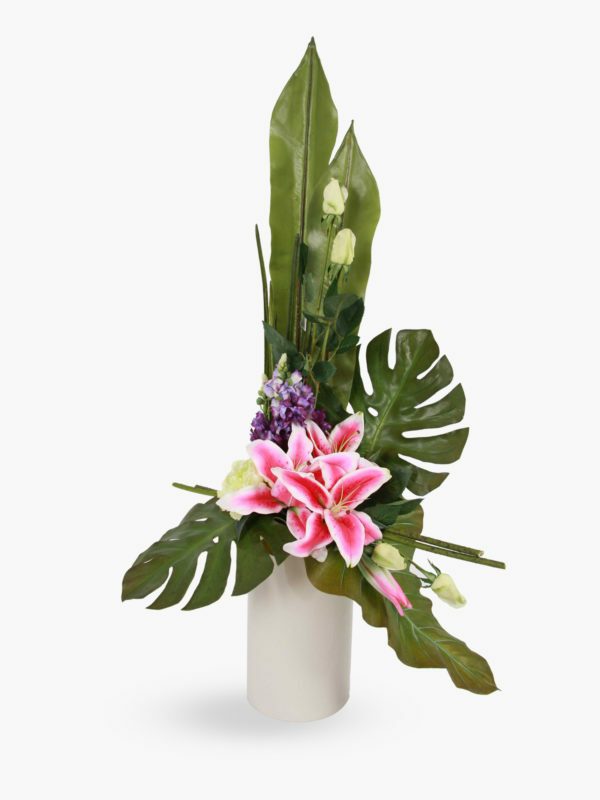 Arranged in a white rectangular vase.